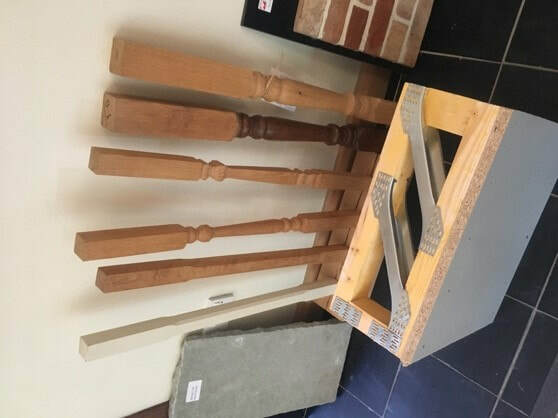 Nestled in the English countryside in Leominster near the Welsh border, I had the chance to meet Steve Robinson, who is one of the senior directors at Border Oak, the company that helped build British Hills. One of my close friends introduced me to him during a lunch at Border Oak’s facility. 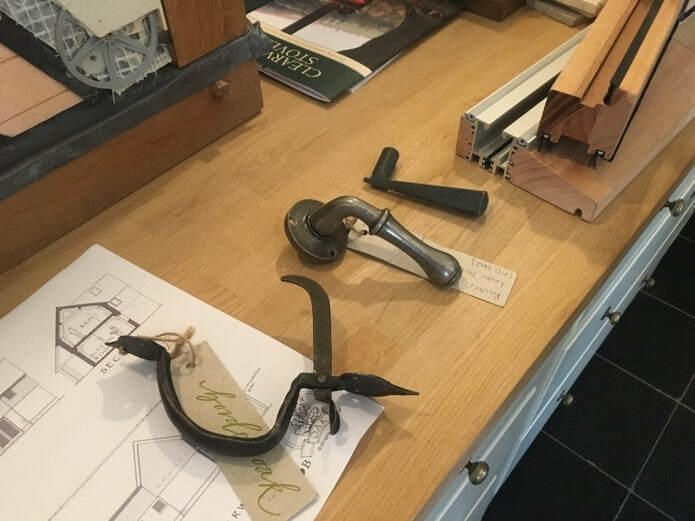 As is often mentioned during our Manor House tours, all of the frames for the buildings in British Hills (apart from the Manor House and Barracks) were assembled here at Border Oak! Mr Robinson is the head of purchasing and sustainability and remembers the day when Mr Sano and members of the Sano Foundation visited his company twenty-five years ago. He was one of the driving forces behind the project and was more than happy to take time out of his busy schedule to talk about how his company and the Sano Foundation collaborated to make British Hills. Border Oak had never taken on a project like this ever before and were amazed at the enthusiasm and attention to detail that the Sano Foundation showed in their vision for creating British Hills in Japan. What they learnt when dealing with the Sano foundation they still use today when dealing with both overseas and UK customers. It was their great pleasure to work with the well-known Obayashi Corporation and members of the Sano Foundation to make Mr Sano’s vision a reality. Mr Robinson recalls the actual amount that British Hills cost in Pound Sterling, a staggering 15 million pounds. 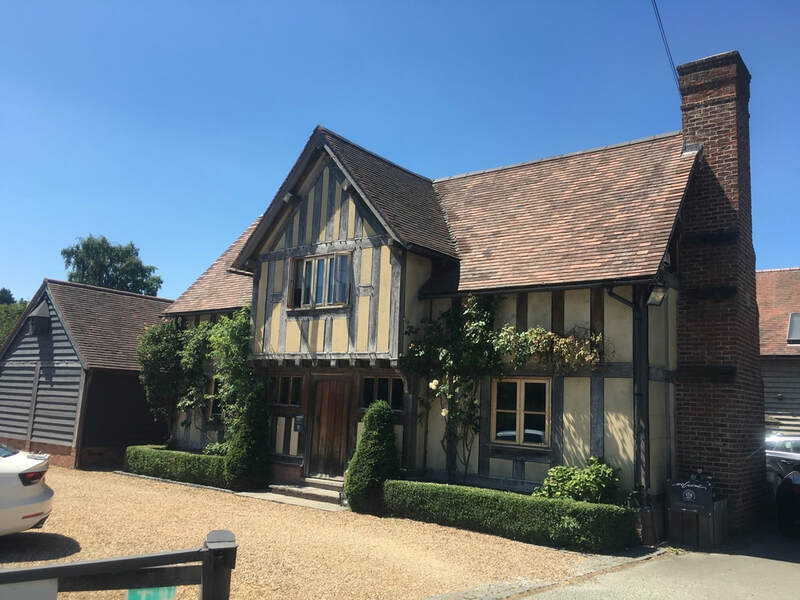 Everything was constructed using British green oak, which was sourced from local areas in addition to the Wyre Forest (which is my local area). As soon as we arrived at their facility, I was surprised how much of a resemblance British Hills has to their main office. Once we entered, it was as if I was back in Japan. 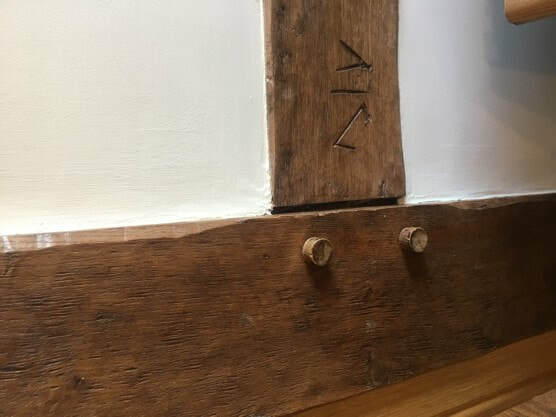 The oak beams and the way they plugged together are identical. Even the markings where each piece of the building join are the same. Mr. Robinson explained that the building process has remained the same today as when they built British Hills over twenty years ago. When Border oak were building British Hills, new techniques of construction were implemented and are still used today. 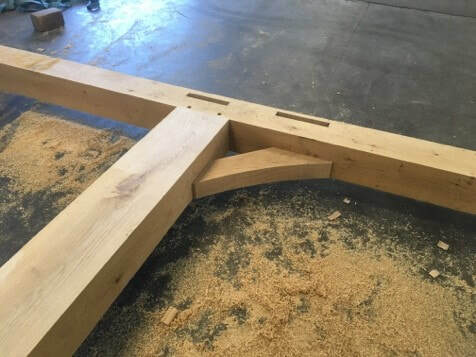 Something as simple as marking the end of each beam helps the building process and logistics of each project with transportation and replacing parts. 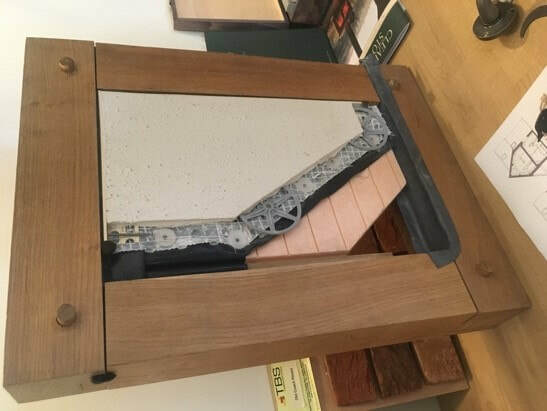 Some of the techniques are quite similar to how Japanese houses are built and how buildings were built in the past. 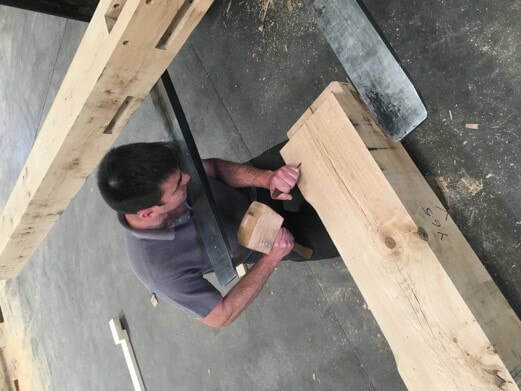 The picture on the right has no room for error; the gentleman is putting the marking on the beam which helps the builders to assemble the building, if he makes a mistake while carving, it cannot be corrected. 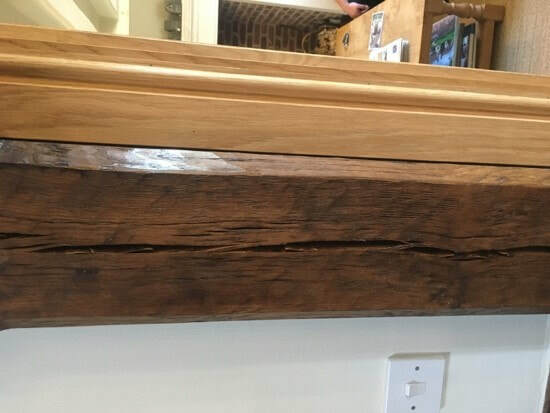 Mr. Robinson also talked about the natural cracking that occurs in oak beams (visible in some of the structures in British Hills) and how this is all to do with the drying of the green oak. This only adds to strength and improves the structure of the building. 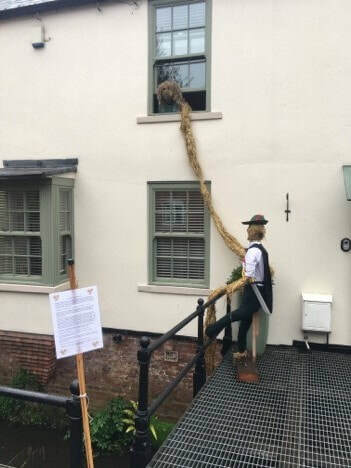 He said that if you were to lift the building in the air it would remain intact and the movement of the beams and splitting of the green oak knits the structure together. He was very happy to hear how British Hills has adapted its business and how it gives Japanese people the chance to see elements of Britain without actually leaving Japan. He was also very pleased to see how it has expanded and thought that the introduction of The Barracks was wonderful. He was really pleased to meet with me and recall his experiences working to build British Hills. 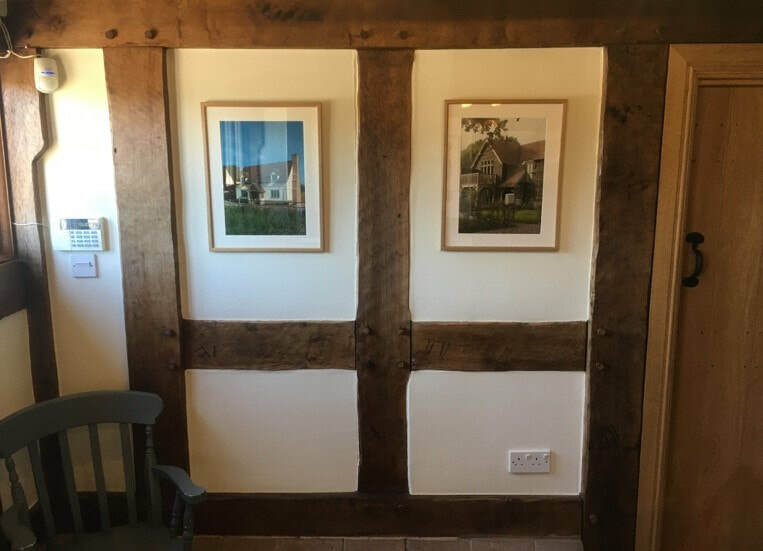 The pictures above show how similar many of the fixtures and fittings are to the ones seen all around British Hills and also how the walls are constructed and insulated. 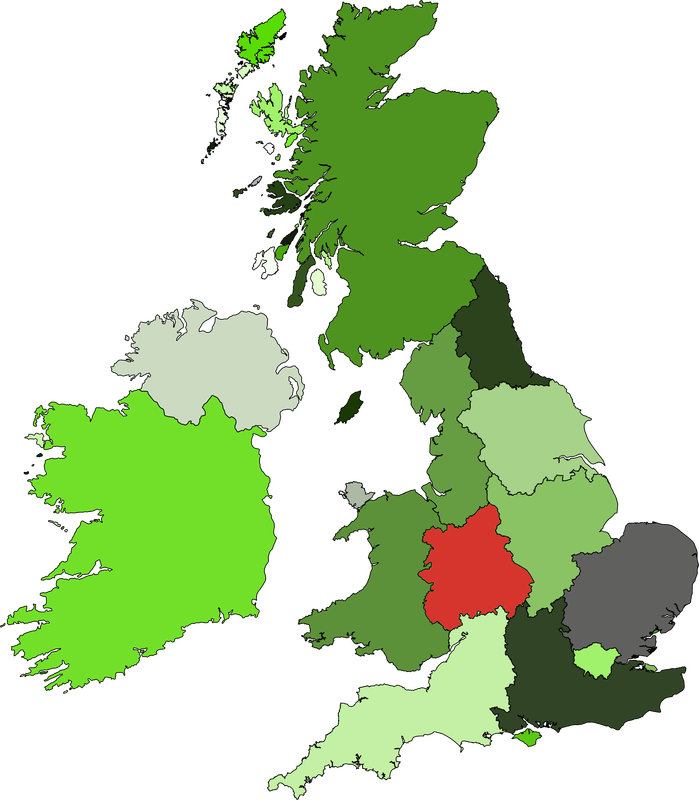 Belbroughton is a small English village in the middle of the UK with a population of about 2000 people. While very scenic, it does not have many places of interest for a tourist. 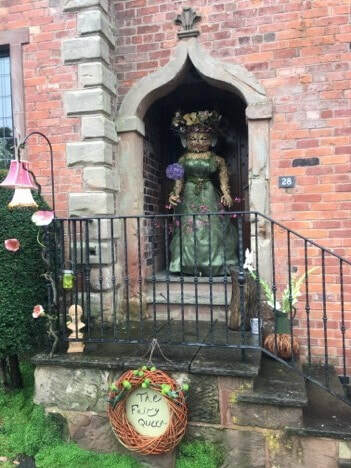 But almost 40000 people visit Belbroughton every year for a very special event. 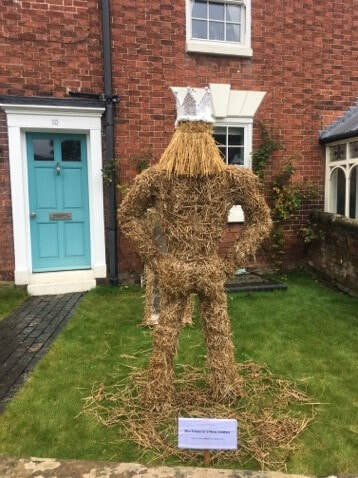 Belbroughton hosts the annual scarecrow festival every year in October since 1996. 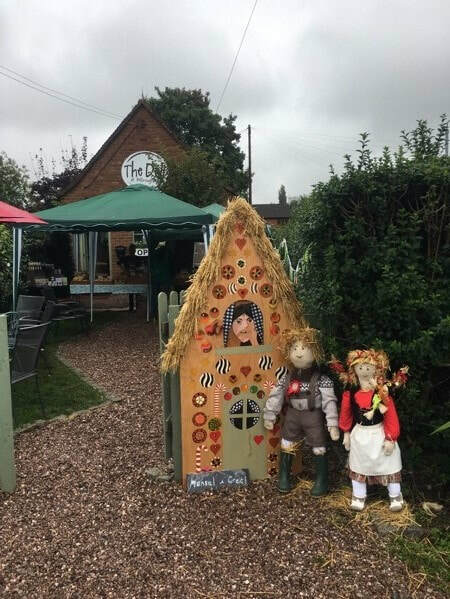 Each year they choose a theme for the scarecrows and have a competition to decide which scarecrow is the best. 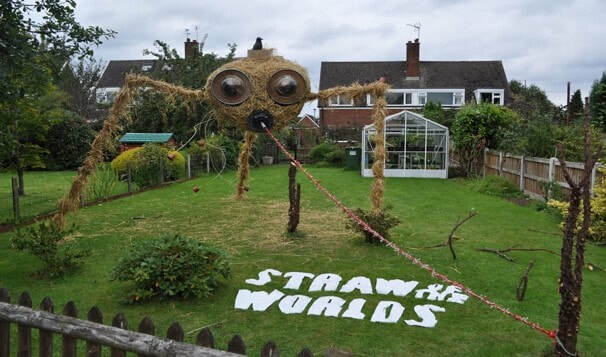 Last year's winner was this one called "Straw of the Worlds" which is based on "War of the Worlds". 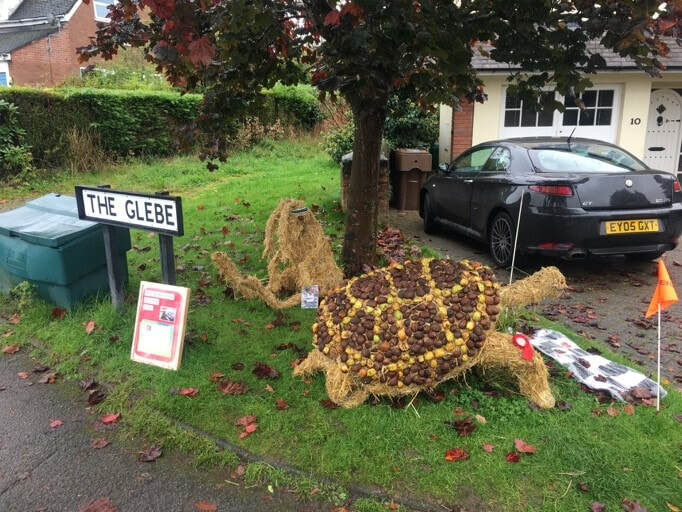 This year's theme was fables and fairy tales which are traditional stories told for many generations. Most of them are quite famous around the world including Japan. Which ones do you recognize? 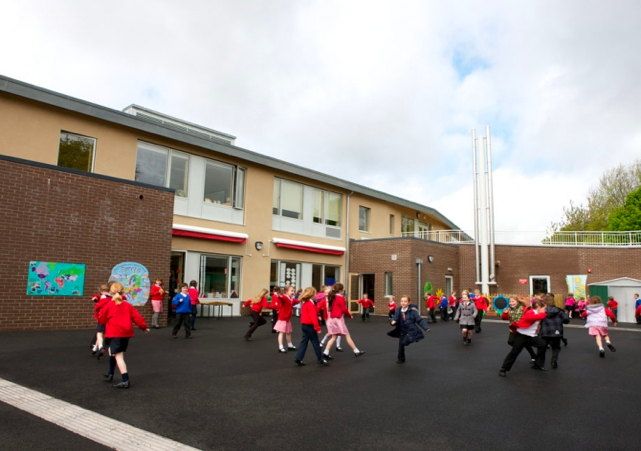 School term started on 4th of September for many of the Primary Schools (elementary) in the UK. 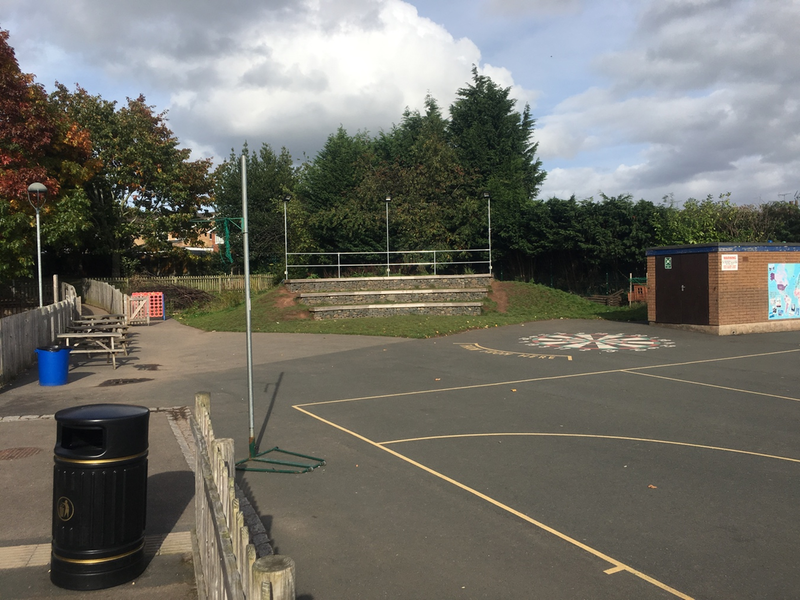 My daughter’s school is broken into two tiers; KS1 is for Children aged between five to seven years of age and KS2 is for Children from eight to eleven. School gates open at 8:35 and lessons start at 8:45 and school finishes at 15:15. 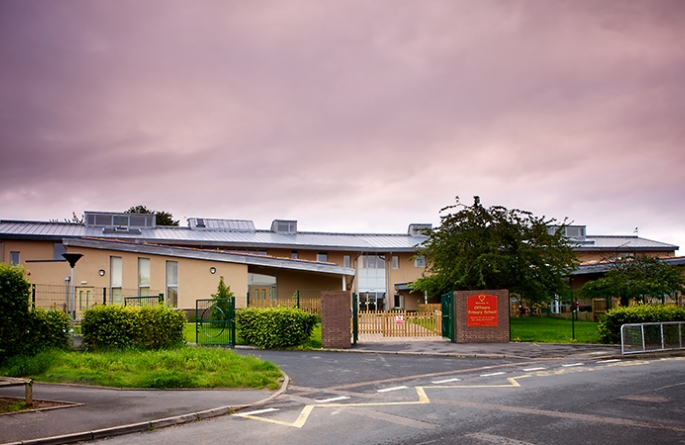 There is a morning break at 10:00 for fifteen minutes were children normally eat fruit, which is supplied by the school to encourage healthy eating. 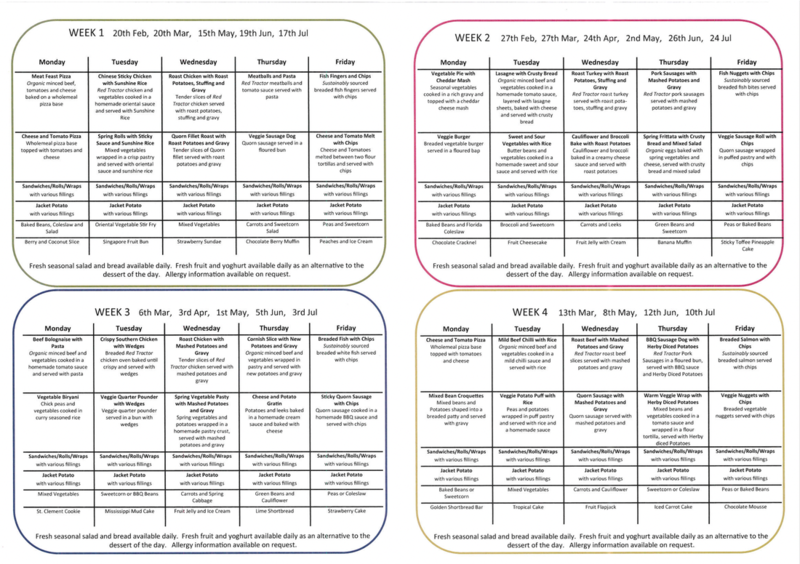 Lunchtime is from 12:00-13:00; pupils either bring their own packed lunches, which normally consist of sandwiches, crisps and a selection of fruits or treats. All pupils in KS1 are allowed a school meal free of charge, which has been subsidized by the government. Pupils in KS2 are also allowed to have meals; however, they have to pay for their meals whether it is daily or weekly. All meals cost £2.10 (¥316) and there are free water machines everywhere in the school where children can top up their water bottles at any time. Of course, once children have eaten they will go outside to play and if it rains they play in their classroom or watch a DVD. There are a maximum of thirty students in each classroom with students ranging in different levels of ability, there are many students from different countries. 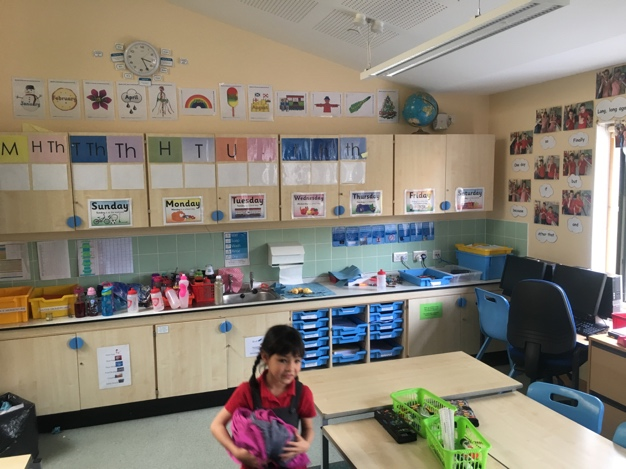 In my youngest daughters’ class there is a student from Romanian, teachers are always accommodating and plan their lessons to cater for each pupil. 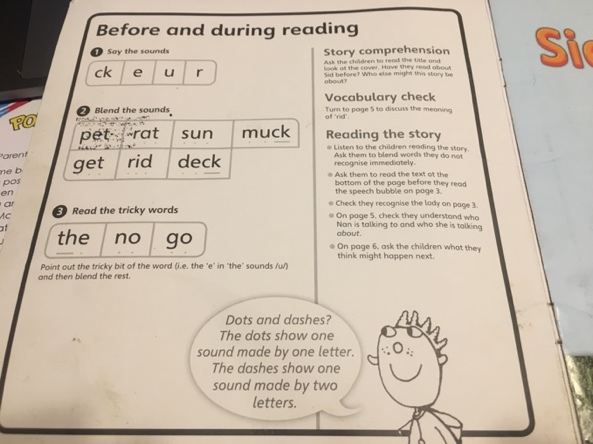 Phonics are being taught to my daughter as well as the Romanian girl, these are the building blocks to the English language. They are taught very different and not in the standard way A-Z. This allows pupils to read words immediately and using the sounds that they are learning. 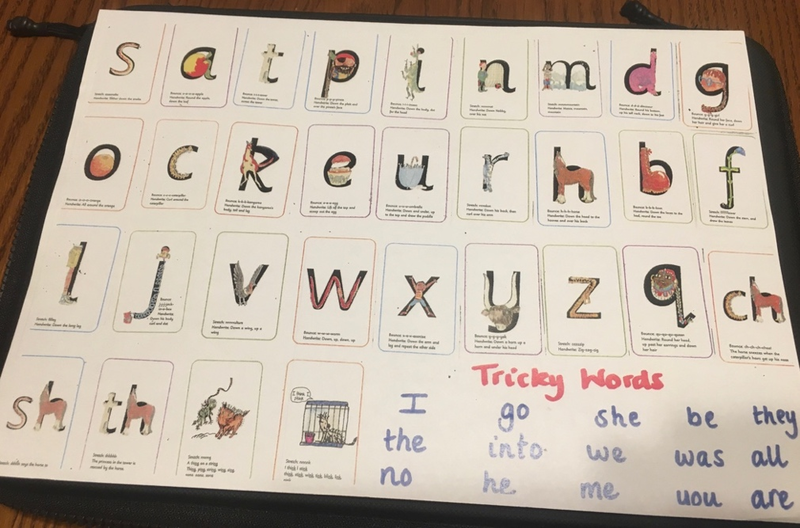 Each letter has a small rhyme written underneath that explains how to write the letter, this also help the pupils to remember how to write them when teachers are not present. Some words cannot be form using this technique, these words are called “tricky words” (I, go, the, into, no, me, you, etc.…) and can’t be formed by sounds and have to be memorized for future use. There is also a teacher assistant in each class and throughout the day students will sometimes leave the classroom to do other activities with teacher assistants. They can then focus even more on each pupil and give them a better education and offer them the support they need. Throughout the year, all grades are assigned projects and homework relating to their assignment as well as standard homework. The focus is to encourage and to stimulate children when they have been given homework by getting parents to help them. 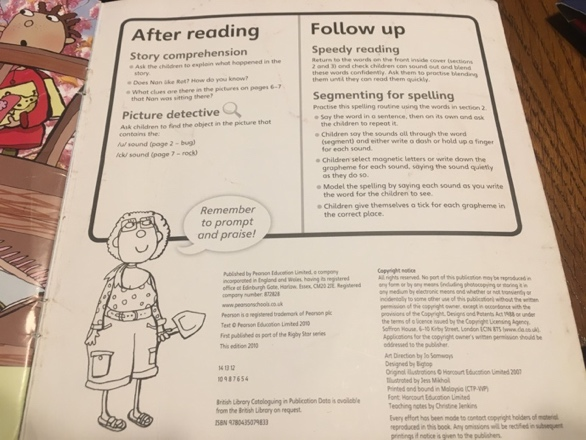 Pupils are encouraged and set reading exercises to do with their parents at least three times a week and to record their progress and write it down in special dairies which teachers check on a daily basis. This has a huge impact on the rest of the curriculum that happens in school, it ensures home learning is completed with pupils showing pride in their presentations. All books that students take home encourage students and parents to work together, they contain exercises and learning strategies that help pupils get more familiar with the phonetic sounds, helps them to pronounce words correctly and for allows them to blend sounds together which helps them learn to read. 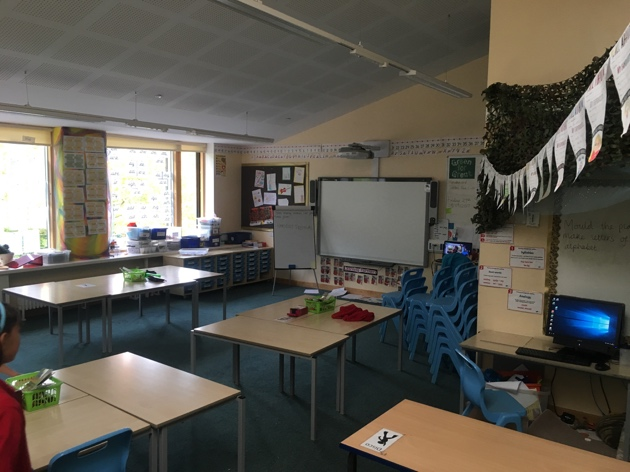 There are no whiteboards in Offmore Primary school, all the classes have smart TV units that are linked to the internet and are fully integrated. Students are more engaged and stay focused in the classroom and teachers have even more support using this technology. Each classroom has at least four computers and there is a computer room where children will go to learn about how to use and what they can do with computers as a class. All parents have to sign computer disclaimer form and instruct their children about the dangers of the internet and no camera’s or recording devices are allowed on the school premises. Each classroom has ergonomic furniture which is suitable for their age and allows them to study in a safe and comforting environment. 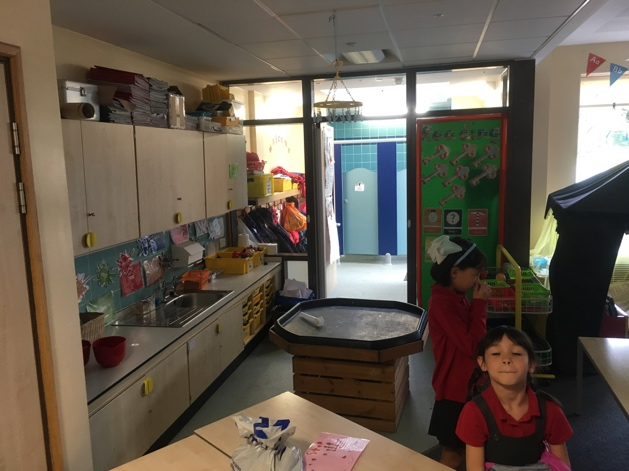 Grade 1-3 have two toilets in each classroom as well as sinks within the toilet area they also have sinks in each classroom which is beneficial and creates less hassle for teachers and pupils when doing craft activities. 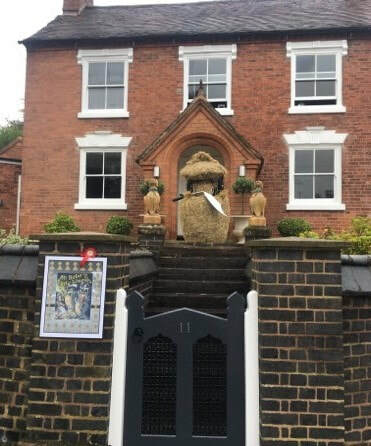 At the end of September, the school will hold its annual Harvest Hullabaloo out on the Amphitheatre. 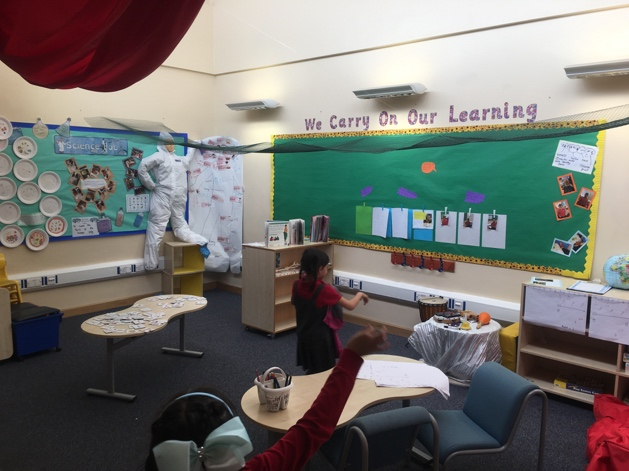 Students have been learning the importance of food and why the human body needs it and what happens if you do not have enough food. They have also been practicing songs and will perform them in front of parents, pupils and teachers. Pupils have been working hard in school and have also been encouraged to use the internet back at home to continue to learn the songs that they will sing. After the performance; parents have been invited to observe lessons and later they are invited for tea and coffee. Several weeks ago letters were sent to parents asking to bake cakes or buy them and donate them to the school, these will be sold and all the money that is raised will be donated to charity. More festivals and opportunities to learn why we celebrate them as a nation and why they are a part of our culture, life and our religion. Bryan Lewis, a proud native of Birmingham and British Hills stalwart has taken his family back to the UK for a year. 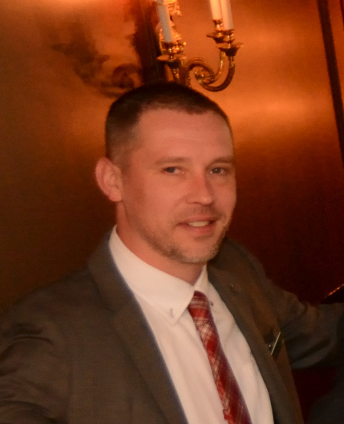 He has kindly offered to share his experiences of life in the UK with us through this blog.